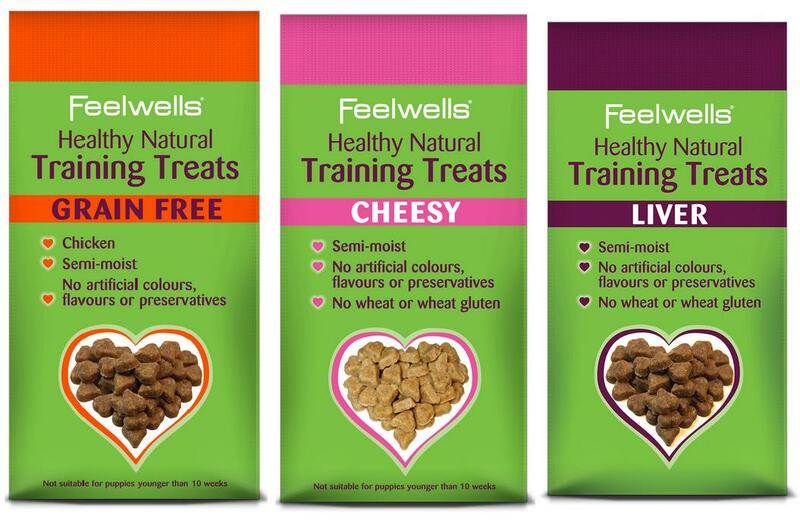 Feelwells Heatlhy Natural Training Treats are delicious little semi-moist treats which have been oven baked to keep in the flavour and nutritional value. They contain no artificial colours, flavours or preservatives and absolutely no rice, wheat or wheat gluten so are great for those that suffer from allergies. Oats, glycerine, cheese (10%), gelatine, vegetable oil, minerals. Oats, glycerine, dried chicken liver (10% equivalent to 26% fresh liver), gelatine, vegetable oil, minerals. Protein 12.4%, Fat content 11.2%, Crude Fibre 2.2%, Crude Ash 5.3%, Moisture 20%. Vitamin A 10,000 iu/kg; Vitamin D3 1,000 iu/kg, Vitamin E (all-rac-alpha-tocopheryl acetate) 60mg. Protein 14.5%, Fat content 9%, Crude Fibre 2.2%, Moisture 22%. Vitamin A 10,000 iu/kg; Vitamin D3 1,000 iu/kg, Vitamin E (all-rac-alpha-tocopheryl acetate) 60mg. Below are some recent questions we've received regarding Feelwells Healthy Natural Training Dog Treats, including answers from our team. How much fat is in them"
The fat content is different for each flavour.